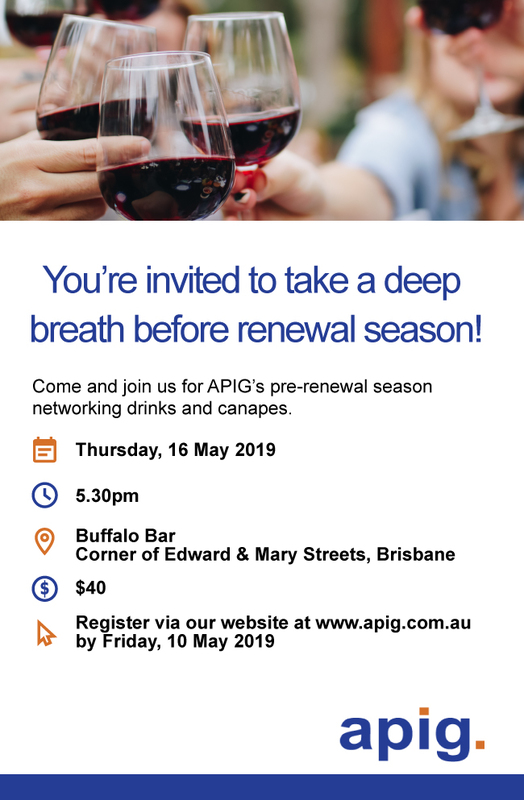 Please join us on Tuesday 27 November 2018 at 4pm for the third APIG NZ event. We are fortunate to host Mike Heron QC (former Solicitor-General of New Zealand) who will discuss the role of the Financial Regulators (Financial Markets Authority, Commerce Commission, Serious Fraud Office, Reserve Bank of New Zealand etc) and their recent activities, focus and priorities within the commercial regulators space. With such a high calibre figure, this promises to be a popular event and of key relevance from a Professional Indemnity, Directors & Officers and Statutory Liability standpoint. The event will be sponsored by Fee Langstone and held at their offices, Level 18, 51 Shortland Street, Auckland. Secure your spot by registering today. For more information please contact Alana Lathorpe.